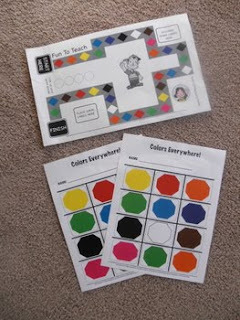 Get ready to have fun practicing colors with this great colorful game board and color cards. This 2 page kindergarten packet includes a gameboard and color cards for endless fun and color name practice. This kinder unit will definitely get your students motivated to learn through hands on activities that are so much FUN! •Click the green star beside my name at the top of this page OR at the top of my store page. Why is feedback so important? When you provide feedback, you’ll earn TPT credits that can be used future purchases! •Click it and you will be taken to a page where you can leave a quick rating and a short comment about the product.